We believe that Inner Truth is universal in Nature. It is expressed through many outward forms. Deity comes to each person in the way that is best for that person, and which is unique to him or her. We believe that “the Gods” are human’s ways of understanding and interacting with Deity. These many faces are equally true and equally valid. They are all attempts to understand the ultimate transcendent nature of Deity. We believe in the providence of Deity; that all things happen according to the will of Deity, which is ultimately to the good. e soul is created from Deity and is never separate from Deity. The soul shares, on an inner level, the attributes of Deity, which include immortality, magic, and powers of the soul. We believe in a living, spiritually sentient Universe, of which all galaxies, stars and planets are components. The Earth as one of these components is equally living and spiritually sentient and as such all systems and creatures on Earth are components. We believe that everything is in a state of constant and ultimately beneficial growth and evolution. This growth and evolution occurs to all of existence, be it the soul, the planet, or the Universe, all being a mirror of Divinity, which evolves and grows as well. 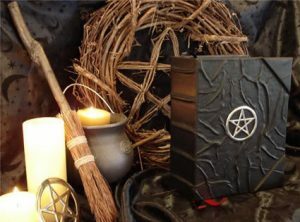 We believe that the Wiccan Rede, “Do As You Will, But Harm None” is the highest moral statement. It is an effective pattern for a moral life. We believe that ultimate truth is beyond the understanding of humans. Therefore, it is natural for a person’s belief and Deity should develop to reflect the individual’s personal relationship with the Divine. We believe that all Pagan religions should acknowledge one another as kindred and stand together as equals. Our similarities as Pagans far outweigh our differences.